Halifax electric bike maker Suru is preparing to open preorders for its new electric bike in February, buoyed — believe it or not — by the global political environment. 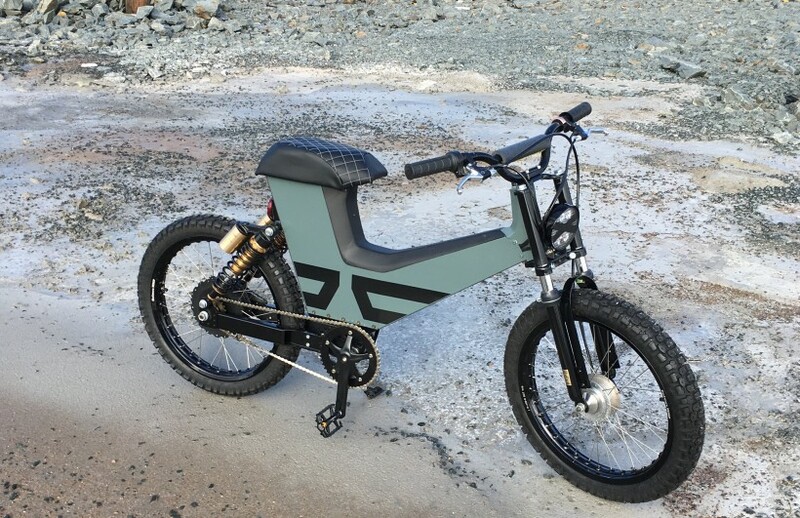 Headed by bike designer Michael Uhlarik, Suru had planned to launch about two years ago but had to delay when it found a glitch in its e-bike’s frame. As Uhlarik fixed that problem, he discovered a way to improve the efficiency of the bike’s hub-motor drive, the key propulsion mechanism. Suru has three patents on the improved device that are incorporated into the new e-bike. What’s happened in the last two years is rising trade tensions, and Suru is one of the rare beneficiaries. The bikes, which are 65 per cent made in Canada, can be shipped duty free in North America under the new USMCA trade agreement, while bikes and e-bikes from China — by far the world’s largest producer — have been whacked with a 25 per cent tariff in the United States. Suru is starting to get interest from big American buyers before it’s even begun its marketing. “We forecast that the bikes will start selling in numbers (through pre-orders) in February with delivery in April,” said Uhlarik in an interview Monday, having just returned from meeting owners of e-bike fleets in the U.S. Manufactured in Nova Scotia, the Suru frame is lightweight, strong and requires no tooling, meaning the components can be made without special moulds, which cuts costs. The parts are motorcycle-grade, and the electronics are contained in the frame to protect from theft or damage. Without pedalling, the rider can go 70 kilometres on a single charge and reach speeds of 32 kilometres per hour. The market for electric bikes has been booming in the U.S. and Canada lately, rising about 15 per cent annually. In particular, e-bike ride-sharing services are growing strongly, and that’s the market that Uhlarik is courting. As well as hotels and services that rent out e-bikes, several cities such as Vancouver have e-bike sharing services to give citizens an alternative to owning a car. This market is dominated by three private companies based in the U.S. that provide cities with a full service — bikes, stands, software and marketing. Uhlarik has just travelled the U.S. to meet with these companies and said they “showed a high level of interest.” These operations have to replace 30 per cent of their fleet each year because bikes get broken, he said, and Suru gives them a USMCA-compliant alternative to ordering from China. He said Suru uses components made in countries other than China, and its bikes can be repaired more quickly than those that need parts from China. Retail and corporate customers like the fact the e-bikes are made in Canada because the country has an international reputation of trust. “ ‘Made-in-Canada’ has economic advantage and we’re really noticing a strong attraction,” said Uhlarik.